Long weekend time! Here’s a recap of the best and brightest digital tidbits from the past week. Trump taxes, Burger King, emojis and more Weekly Wins to enjoy as the tryptophan kicks in this weekend. Happy Thanksgiving! This week, the New York Times released a bombshell article that outlined something we all knew already: Donald Trump was by no means a self-made man. Not even close. Turns out, most of the Trump family made and retained their wealth through a series of sub-legal maneuvers over the years. In another extraordinary move, the New York Times released an article that outlined how the expose came to be in conjunction with the expose itself. Years of journalistic heavy-lifting went into the creation of the article and the three journalists that researched the story sifted through hundreds of thousands of documents to gain their findings. Amazingly though, the story that evolved into a provocative bombshell piece of reporting had its genesis in a simple Google search. Times journalist Susanne Craig Googled an outdated real estate term alongside the Trump name and voila the first piece of an intricate puzzle revealed itself in a fictitious company that the Trumps used as a tax haven. The power of Google never ceases to amaze. It just goes to show that while most of us spend our time Googling things like the What the Fluff Challenge, we could also be creating some true social good with this amazing tool. Or we could leave journalism to the journalists and just keep Googling dog things. Either way. One needs only to head on over to the Pound and Grain podcast, Version Control, to get a glimpse of the team’s thoughts surrounding AI. Like most of the world, they range from excitement, to trepidation, to outright fear. Recently, we also added humour to that list, when we discussed a viral tweet that supposedly contained a transcript from an AI creative Olive Garden ad. The voice over of the ad was stilted and bizarre, just what we expected from an AI created ad. Then we found out that the ad was fake! It was created by a very human comedian. And that kind of made sense, too. What the whole episode pointed out is that we don’t really understand what AI is and is not capable of. 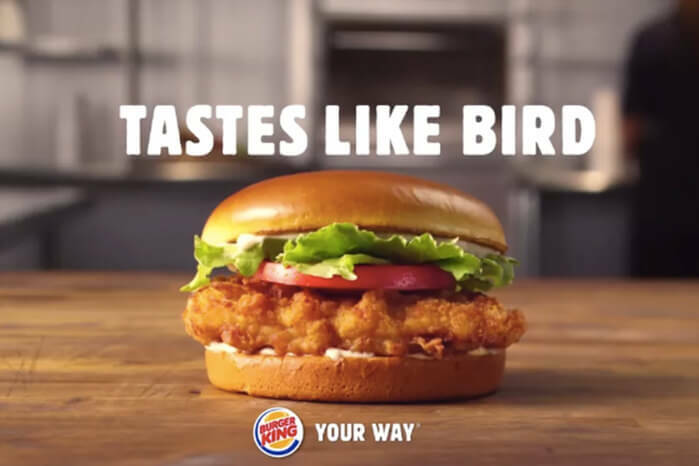 This week, Burger King dialled into that sentiment with a series of hilariously believable “AI-written” ad spots that lampoon the public’s concept of AI. Never forget: the Whopper lives in a bun mansion, just like you. If that doesn’t make you want to hit Burger King for lunch, really, what will? iPhone users, are you ready for your life to be complete? 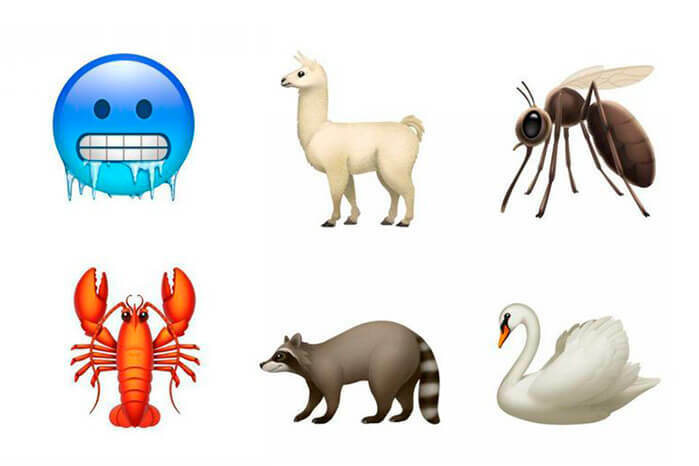 Apple IOS 12.1 is bringing no less than seventy new emojis to the fold. Like most people, you’ve probably found yourself at a loss for words when attempting to perfectly articulate your feelings surrounding both llamas and bagels. No longer. These and more additions such as bald and/or mustachioed men will finally let you describe your life pictorially, with everyones favourite digital hieroglyphs. While one insurance company announced they’d be watching our every step last week, this one is making us feel things. Guardian, a 158-year-old insurance company, has just released their first advertisements ever. That’s right. A company has existed for a century and a half without any marketing, until now. Their touching new spots aim to evoke emotion and empathy in viewers, and are worth a watch. This is quite a different approach for an insurance company, a category that usually opts for a comedic, light hearted approach (which also hides how boring insurance advertising can be). Good on ya, Guardian. If you’ve ever been furniture shopping for a shared space, you may understand the frustration of receiving photos from your spouse or roommate, but not quite getting the full picture. How big is the chair? What does it look like from the back? Well, this specific circumstance and so many more are about to get a lot easier with Apple Quick Look. 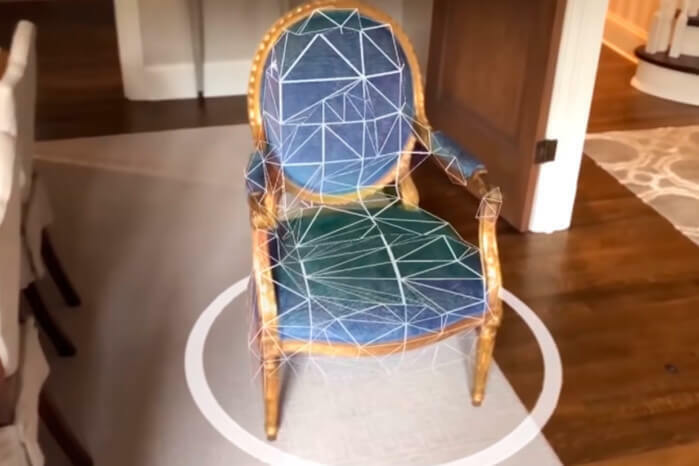 This new platform allows people to easily place and share augmented reality objects throughout the real world using their browsers. How do you add content? Well, an app called 3D Scanner Pro will soon allow users to “scan” objects in real life, and create an AR version of said object. Check it out in action here.